Officials confirmed Monday that carbon monoxide poisoning caused two deaths at Allen Benedict Court. COLUMBIA, South Carolina — Two men found dead at Allen Benedict Court on January 17 died as a result of carbon monoxide poisoning, according to Richland County Coroner Gary Watts. 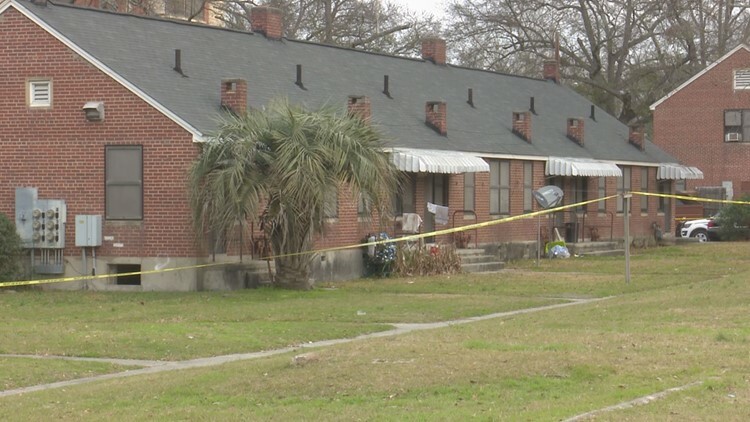 "Toxicology test results confirm that Calvin Witherspoon, Jr. and Derrick Caldwell Roper, both of Allen Benedict Court, Columbia, SC, died as a result of carbon monoxide poisoning," said Watts in a statement released Monday. Citing "imminent danger to life," more than 400 residents of Allen Benedict Court, run buy the Columbia Housing Authority, were evacuated after Witherspoon and Roper were found dead and multiple gas leaks were found just about two weeks ago. Carbon monoxide, missing smoke alarms, charred closets and infestations were among nearly two dozen violations at the Allen Benedict Court Apartments highlighted in a Columbia Fire Department letter to Columbia Housing Authority. Residents at Allen Benedict Court were told Friday they would never be able to go back to their homes because of the serious and life-threatening code violations that fire officials discovered there. A class-action civil suit was filed last week against the apartment complex, alleges the housing authority was "negligent, careless, grossly negligent, reckless, willful, and wonton" in failing to maintain and address hazards there. News 19 continues to push for answers and documentation pertaining to Allen Benedict Court Apartments.